To have a “Happy Birthday” means more than eating too much cake and opening a few cards. A memorable birthday is about celebrating with friends and family, enjoying a laugh together, eating and drinking and having a late night boogie. So rather than letting another unorganised birthday pass by, you’ve decided to plan a surprise Birthday for your best friend. By now you’ve probably realised how much planning is actually involved and are sort of freaking out. Some of the questions going through your head might be, “if my friend wanted a party, why isn’t he or she planning it?” “Will he or she even like the idea?” and so on. Take a breath and keep it simple. Start from the top, determine who to invite to the surprise birthday. Remember to consult other friends of the birthday person. Will they prefer a “friends only” affair or a “friends & family” type event? also, make sure they know it is a SURPRISE! This will help with the number of people to invite. Has your friend just reached a huge milestone? Is it a sentimental milestone like 21, 30 or 50? If that’s the case, the birthday party is a big deal. Milestones are all about celebrating the life of the person and involving everyone they care about. Get together a team and seek advice from your friends family. It’s best to invite everyone than accidentally miss someone. To add an even further special milestone touch, ask each guest to RSVP with a short note or story and put together a scrap book for your friend. Knowing where to hold the event can be tricky. Do not risk sneaking into your friends place and spoiling the whole party. Ask around your close friendship group to find a suitable home or location. Alternatively hire out a venue. 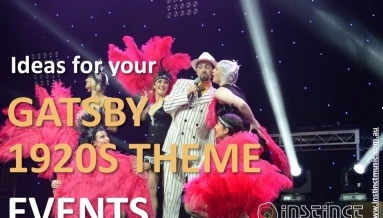 You will be surprised at what deals are on offer for birthday functions. Quick tip here is to have everyone arrive an hour before the guest of honour. The room is then buzzing full of atmosphere for when he or she does walk in. Dance the night away with a big smile and get a great band or DJ. Forget messing around with ipods, speakers and a crappy playlist on repeat. An awesome cover band, duo or professional DJ will light up the night leaving a lasting impression on your special friend. To conclude, remember it is okay to ask other guests to help out prior, during and after the party. You are not expected to do it all on your own. 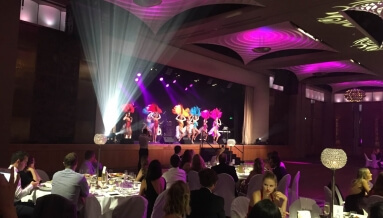 However if you are finding the list of things to do is growing and the time to do it shrinking, then consider hiring a professional party planner. The event planner will take care of all the guests, band requirements, stage management, speeches, parking, food, beverages and most importantly they will give you time let your hair down.